While every summer between my toddler and teen years, I went on dozens of day trips that culminated with my family piling out of the car into the streets of this seaside sanctuary in search of Sunday afternoon diversions, somehow the exceptional beauty, divine tranquility and inexhaustible activities to be found in St. Andrews escaped my memory. Not until I made the journey back to St. Andrews, after moving away from Atlantic Canada, would I truly fall in love with the town that had been neighbour to me all those years ago. Now, I am a sucker for just about any place where nautical rope bracelets are a staple in local shops, i.e. resort towns, like Nantucket—a personal favourite of mine… and, captains of industry (think the Johnson & Johnson family), who “summer” on such islands. And there in is the dilemma. The drawback with such “quaint” seashore paradises is that they tend to turn the head of the 1%, which leads to a hike in popularity (keeping up with the Jones and all of that) and subsequently an increase in the price of everything from hotels and beachfront cottage rentals to lobster rolls and boogie boards. Hope, though, is not lost for would-be-maritime vacationers; the solution to this quandary can be found in between Cape Cod and The Hamptons, in that same little dot on the map that rendered days of play for me as a child: St. Andrews, New Brunswick. Situated just off the border of Maine, St. Andrews is a scenic drive away for tourists coming from Boston (clocking at just under a seven hours) and an easy flight for those departing from cities higher up the Eastern seaboard, such as Toronto and New York, particularly with Porter offering service from both cities (as well as Boston) to nearby Moncton, New Brunswick. As for what you do once in St. Andrews, that depends entirely on what type of vacation you are after. 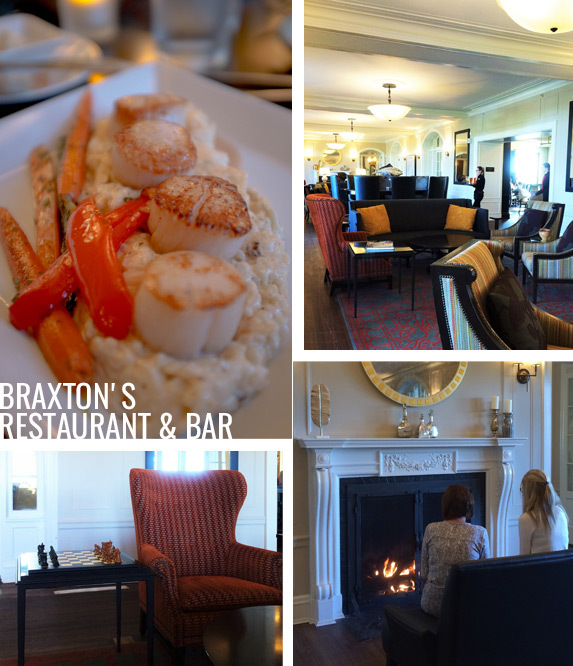 To gain the full scope of the area’s offerings, I enlisted my family (mother, father, brother, sister and two bouncy/inquisitive tween nephews) to explore a stay geared towards a Brady Bunch-esque experience, while myself and my husband embarked on a coastal couple’s retreat. Below, our individual picks for the best places to stay, eat and play when visiting St. Andrews by-the-Sea. One of less than 10 Relais & Chateaux properties in Eastern Canada—and the only of its kind in the Maritime provinces—the Kingsbrae Arms Hotel is a rare gem. The hotel’s façade welcomes one with the warmth of a country manor, defined by understated grandeur. Not dissimilar to other luxury properties found in posh beach resort towns the likes of The Hamptons, the Kingsbrae Arms Hotel embraces sophisticated pan-European charm over maritime-inspire décor. In other words, there isn’t an anchor motif in site, just walls and spaces filled with paintings, books and worldly curiosities. The house was built in 1897 and wears a dressing of bric-a-brac that exudes a timeless elegance, which both speaks to the town’s original Loyalist settlers and the hotel’s current owner’s—Harry Chancey Jr., a former executive from the world of public television in New York—penchant for transatlantic travel. For a romantic getaway, a stay in The Pinnacle suite (specify “Premium Suite-3rd Floor Pinnacle” when booking online)—complete with two gorgeous mosaic framed fireplaces, a six-foot whirlpool tub built for two, a luxuriant four poster bed and the privacy afforded a secluded floor—will set the mood for a vacation worthy of Lady Mary Crawley & Matthew Crawley’s honeymoon. Dining at the Kingsbrae Arms marks an occasion all its own. (Definitely top of the list for couples celebrating a special occasion, or simply in the mood to toast a shared love of gastronomy.) 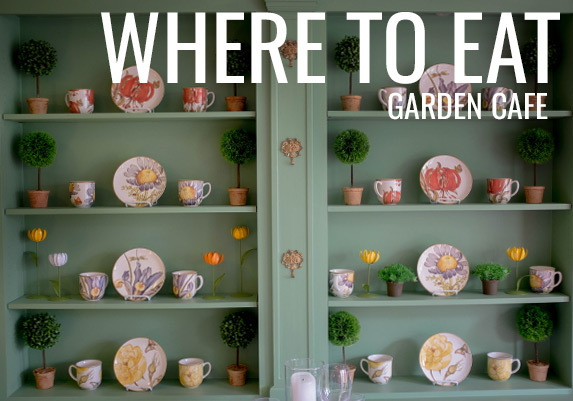 The kitchen here—helmed by Chef Ciaran Tierne—relies on fresh ingredients for culinary inspiration, welcoming the finest local meats, seafood and produce to inform the daily menu, with the latter often plucked from a destination as “local” as the ground’s own vegetable garden. While we were visiting, halibut was the catch of the day, imagined by Chef Tierne as a tartar, bright with citrus and bursting with natural umami, reaped from the Atlantic Ocean. Something of a legendary property to those from New Brunswick, this grand hotel is steeped in history. Locals know it as a gathering spot for reunions, weddings and celebratory events of all sizes, while tourists flock to it in search of repose. On that note, should the thought of spending yet another March Break at Great Wolf Lodge trigger hives to breakout all over your body, why not dodge the kiddie vacation and plan a getaway that offers equal amounts of enjoyment for you and your children. For families big and small, the Studio Rooms are your best bet. (Adjoined rooms are available upon request for larger groups.) A spacious layout sees a pair of queen beds, kitchenette and a dining table set the scene for a cozy stay. The understated elegance of the décor—epitomized by white linens, stitched with an emblematic “A”—hints at the property’s grand history, while staff endeavor to keep the comforts of home nearby with thoughtful touches. For example, after a day of exploring the sights, don’t be surprised if you return to your room and find a sampling of gourmet cheese and crackers awaiting you, courtesy of the hotel. And, should your pup be among the family members staying with you, there’s no need to leave him/her out of snack time. Simply run downstairs to the lobby and you’ll find a jar of homemade doggy biscuits made especially for guests’ four-legged travel companions. The Kingsbrae Gardens are nothing short of awe-inspiring. On par with the lush gardens of England, the landscape is flush with radiant flora (the Perennial Garden boasts over 2,500 species of perennials alone), offset by a collection of fine works of art that range from the avant-garde in the Sculpture Garden to the comical in the Children’s Fantasy Garden and the Editable Garden. Lock hands and spend an afternoon with your special someone, relishing in nature’s palette. Make your way down the garden paths, past families of birds and butterflies to the center of the grounds where a picturesque bridge—flanked by magnificent greenery—lay in wait of a romantic moment. When you board an Island Quest Marine boat, you step onto a floating classroom. Knowledgeable crew members—including marine biologists—act as the ocean’s narrator, sharing tales of its life cycle and the rituals of its many inhabitants, as you take in world-class whale and wildlife sightings. When visiting the area, making time for a morning or afternoon on the water, really is a must. The salt air and scenery is eye opening and all absorbing. In other words, it’s safe to bet that there will be no need for an iPad to occupy your child’s attention when onboard. Considering the waters around them will be quaking with whales—we suspect they’ll be glued to nature rather than a screen. This isn’t Planet Earth, this is the real thing. 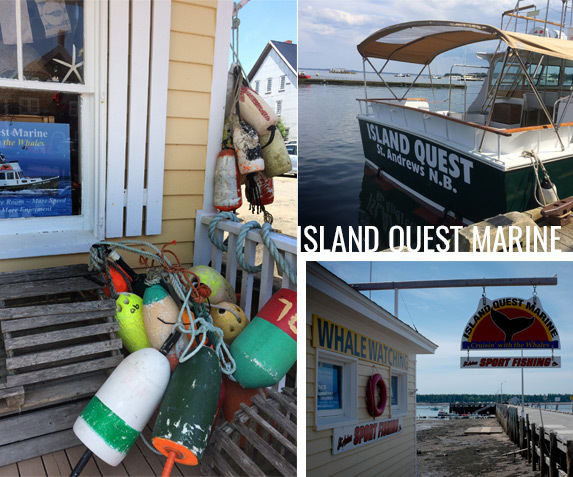 And while there may be no popcorn to watch the action here unfold, Island Quest Marine offers something even better—considering the setting—a helping of salmon pâté. No description can do this tasty snack justice—it’s savoury, perfectly tart and highly addictive. To get your fix, immediately head to the Spice Box Comestibles (just a short walk from the dock on Water Street) after anchoring, where you’ll find the salmon pâté… along with many hungry customers after the limited supply carried in store. Having already detailed the delights to be had during a romantic stroll through the Kingsbrae Gardens, we must also note the perfect way to end a visit to the grounds: lunch at the Garden Café. Situated in the heart of the gardens, beside a picturesque patch of greenery—where staff like to invite visitors to feed the resident alpacas—this spot gets one massive checkmark in the romantic ambiance column. To pair with the beauty of its botanical surroundings, the café offers a simple bistro style menu created by Chef Alex Haun. The fare coming out of the kitchen here focuses on showcasing the best in fresh, locally-sourced ingredients. Menu items include, a rustic charcuterie and cheese platter, delivered to the table on a slab of tree trunk (fitting); warming plates of pasta, like the hearty gnocchi bolognaise we sampled during our visit; and a selection of sandwiches that satisfy the list of deli classics. For couples interested in partaking in the sort of meal that might fall into the once-in-a-lifetime category, wait till evening to sample the tasting menu at Savour in the Garden—the Kingsbrae Garden’s multi award-winning fine-dining restaurant. Menu-wise, should you prefer to stick to the staples, you have French toast, pancakes and many-a-omelette to choose from among other items, but, should you be a little more adventurous and curious to sample regional flavours, try an order of the Eggs Atlantic with Smoked Salmon or the Lobster Benedict. A stone’s throw from the seaside and neighbor to the town’s many unique shops, The Station on King is not only an ideal place to people watch, it the perfect kickoff to a day of exploration.